A female Weibo user in Sanya city, Hainan, posted pictures of her and her police boyfriend going to a hot spring on a date. 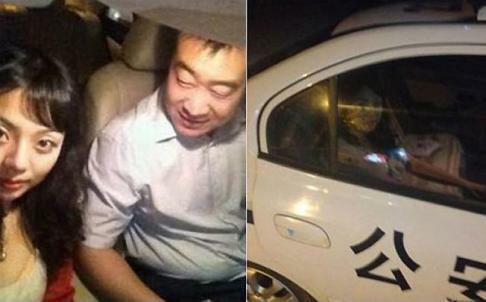 The post revealed the boyfriend’s name as Wang Pengfei, and showed him driving a police car in his uniform. Wang was accused of power abuse after the pictures went public, as he was suspected of having used public resources for personal reasons. Media confirmed his name and job title the following day. With the incident yet to be resolved, another Weibo post on Thursday added a new twist to the drama. The user claimed to be a friend of Wang’s “wife”, who is not the female user in the pictures. The user also claimed that the wife had no idea about Wang’s extramarital affair until the incident. The unfolding scandal garnered attention on the internet. “Mistresses are great weapons to fight corruption,” said one. “A healthy and diverse society should judge its police by the same standards as the general public,” he said. Media contacted the author of the second Weibo post and confirmed the wife’s identity. Further investigation is under way. The drama in Hainan rekindled concerns about police abuse of power, corruption, as well as the increasing prominence of extramarital affairs.